Global Center on Cooperative Security » The UN’s Role in Fighting Terrorism: Where Does Its Comparative Advantage Lie? 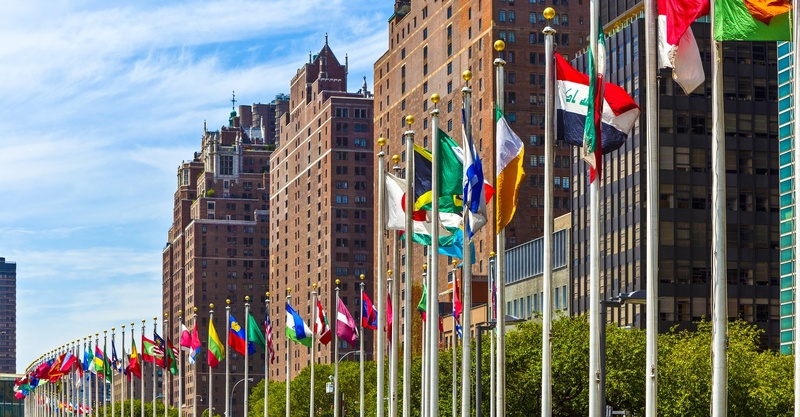 The UN’s Role in Fighting Terrorism: Where Does Its Comparative Advantage Lie? CGCC and the UN Information Center hosted this discussion with Mike Smith, UN Assistant Secretary-General and Executive Director of the UN Counter-Terrorism Committee Executive Directorate. Smith highlighted areas where the United Nations adds value to ongoing national, regional, and international efforts to combat terrorism, including its promotion of international norms and the corresponding international legal framework against terrorism devised over the last 30 years. He cited its unique convening power, authority and legitimacy, and potential to counter the narrative of hate expounded by extremists. He noted that although states may be the primary operational counterterrorism actors, the United Nations has a broad base of technical expertise at its disposal and can play a key role in the provision of technical and other counterterrorism assistance. Smith discussed in particular the work of the UN Counter-Terrorism Committee and its Executive Directorate and the important contributions that it and other agencies within the broader UN family, such as Interpol, make toward improving the ability of all states to combat terrorism. Drawing on his experience as the former Counter-Terrorism Coordinator in the Australian government, Smith presented examples of how bilateral and multilateral efforts are necessary and mutually reinforcing and underlined the central role of United Nations in those efforts.